The Hot Toddies at Hofbräu Bierhaus NYC!! We'll watch the ball drop on our giant projector screen in the heart of Midtown, Manhattan. There will be a cash bar, or upgrade to a three hour open bar which includes bier, wine, and well drinks along with unlimited wings and fried pickles. At midnight we'll toast to the new year with a complimentary glass of champagne. Cheers to 2018! 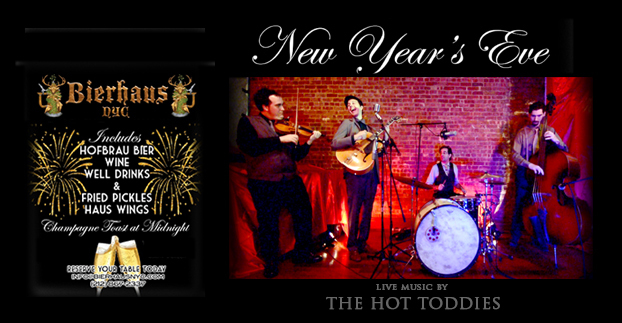 THE SALON: New Years Eve Eve - 10th Aniv!